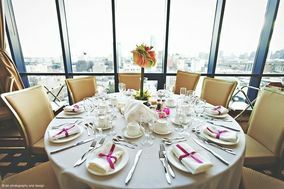 New York City is a place known for fashion, elegant parties, and a fast-paced lifestyle. 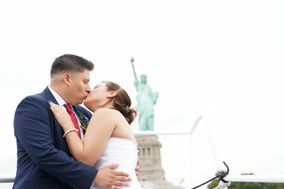 Those very reasons are why NYC is one of the top places to get married in the US and the world. 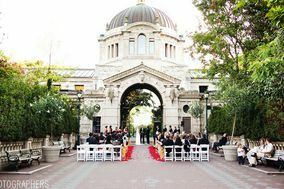 With tons of wedding locations, finding the perfect wedding venue for you will be a piece of cake (wedding cake that is!). 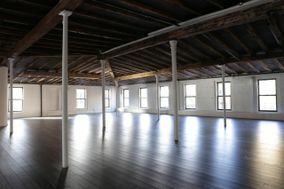 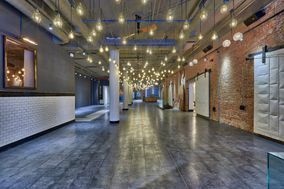 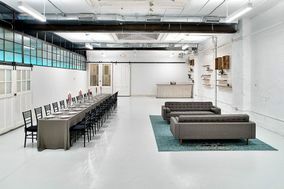 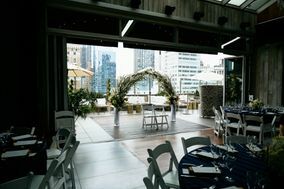 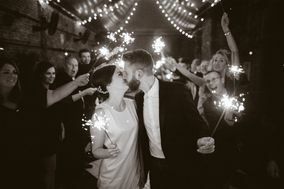 If you're looking for a wedding location in the city, some popular venues include: lofts/ rooftops, country clubs, studios, ballrooms, and hotels.Manhattan's world famous skyscrapers could be the perfect backdrop if you choose a loft or rooftop wedding venue. 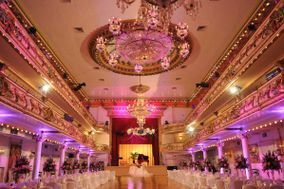 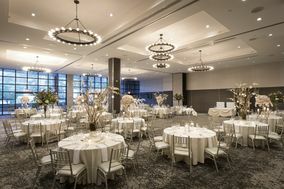 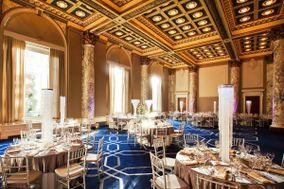 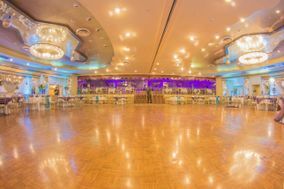 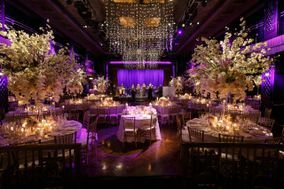 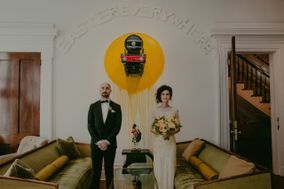 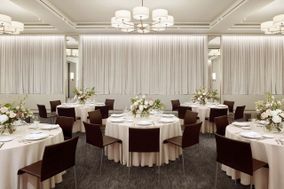 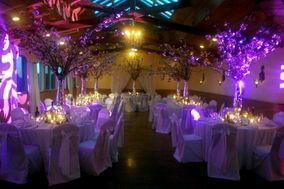 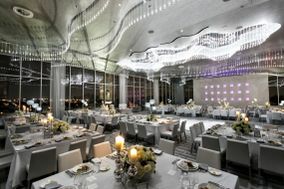 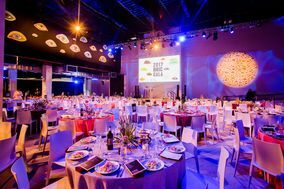 Ballroom and hotel wedding venues are great for large weddings and allow for a great deal of creativity to make the space uniquely yours. 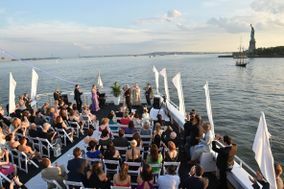 If you and your fiancé(e) are going with a nautical theme, take it to the next level by choosing a cruise ship as your ceremony and reception venue. 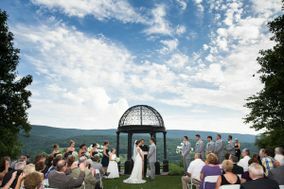 This unique wedding location will definitely have your guests talking about it for years to come! 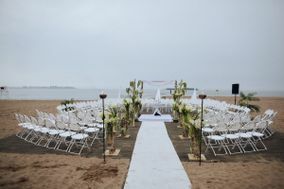 Not sure if you're ready to try out your sea legs, but still want to a wedding venue that's out of the box? 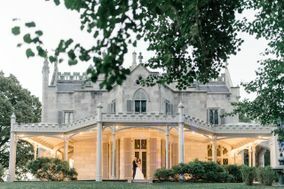 Some other unique venues include a castle, a book store, a zoo, and several museums. 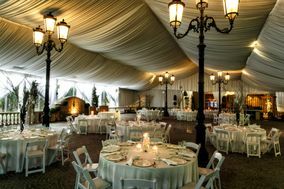 You're guests will not only be entertained by the festivities, but with the wedding venue itself! 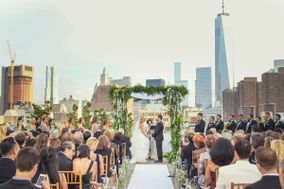 As far as pricing goes, New York City is the most expensive place in the country to get married. 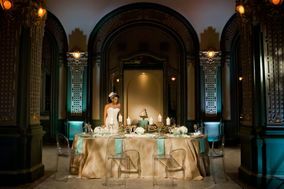 But don't let that deter you from finding a stunning New York City Wedding Venue. 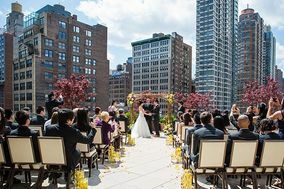 The average cost of a wedding in NYC is around $88,176, which is about $59,000 over the national average. 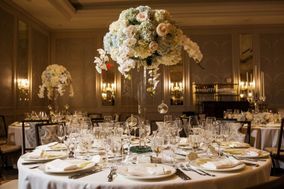 Don't worry if your budget doesn't look like the average. 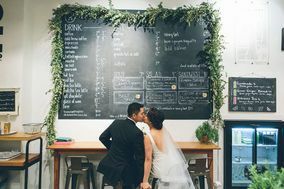 Every wedding budget is unique and no two will be exactly the same. 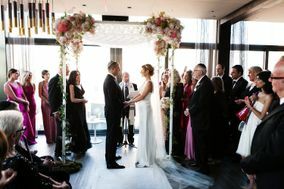 Depending on where your wedding venue is within the city, there are several airports for out-of-town guests to use. 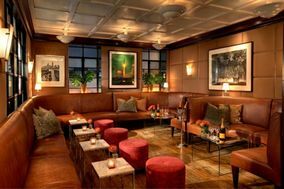 The first is LaGuardia Airport, located in Queens. 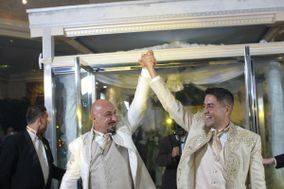 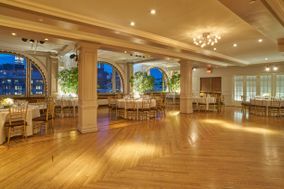 If your wedding venue and guest accommodations are near Queens, Jackson Heights, or Elmhurst, this will a good choice. 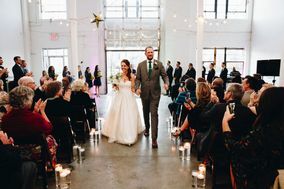 A drive from LaGuardia to Manhattan wedding venues will take about 35-40 minutes depending on traffic. 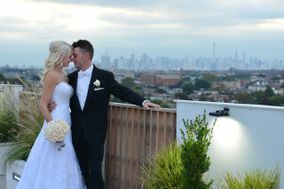 If your wedding location is closer to the southern tip of Manhattan, out-of-town guests might consider flying into Newark Liberty Airport, which is about a 30-40 minute drive to ceremony and reception venues in New York, NY. 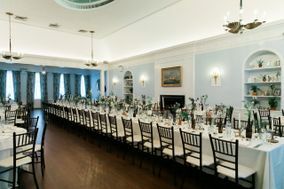 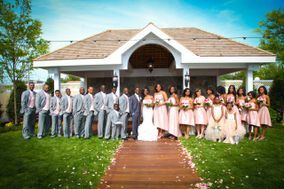 JFK is also an option but it is farther from wedding venues at the center of the city, located on Long Island. 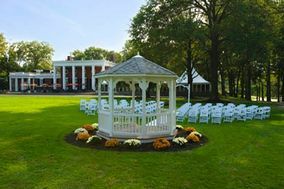 If you aren't planning on booking a hotel as your wedding venue, out-of-town guests will need a place to stay. 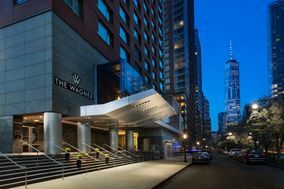 The average cost of a hotel in NYC is about $213/ night. 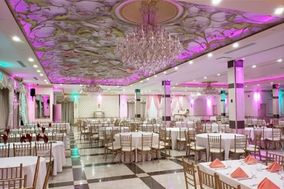 And we know finding an affordable hotel with enough rooms for your guests that's close to your wedding location can be overwhelming. 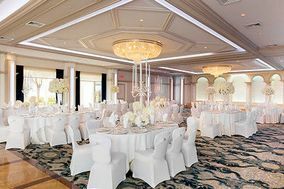 We suggest you look into this wedding hotel block service. 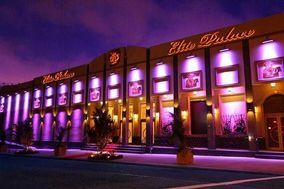 Representatives will find available hotels with enough rooms at a price you can afford! 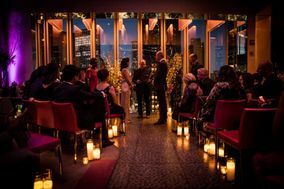 Here are a few things you should know about the weather in NYC when deciding on a wedding venue. 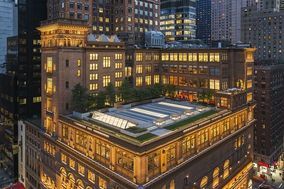 New York City has a humid continental climate with hot summers and cold winters. 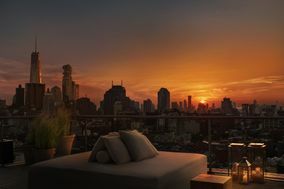 Due to the high number of large buildings and high levels of energy use, the city itself can have different temperature than the surrounding areas. 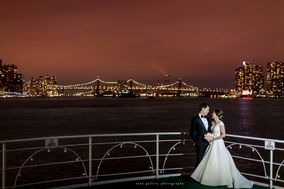 The weather is also affected by the fact that NYC is completely surrounded by water. 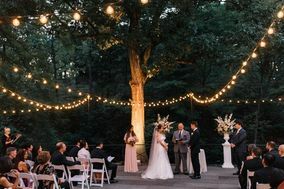 If you're looking at outdoor wedding venues, we suggest booking in the late spring or early summer before the humidity sets in. 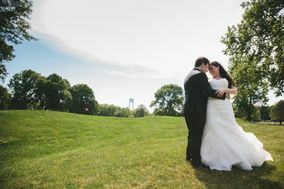 The warm season in NYC lasts from the beginning of June to the end of September with the hottest days being at the end of July. 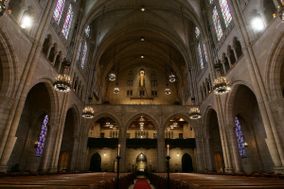 The daily high temperature during this season average above 73 degrees. 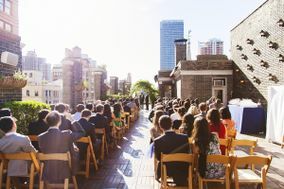 While outdoor wedding locations like rooftops, country clubs, and gardens are stunning, make sure your guests have a way to stay cool and hydrated during your big day. 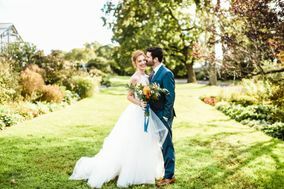 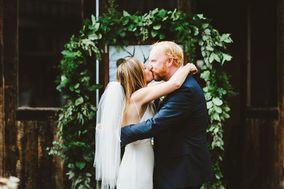 It's important to note that thunderstorms are a possibility during the summer, so have a backup plan as well as discussing inclement weather policies with your wedding venue. 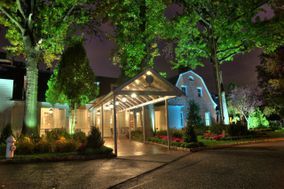 The most likely time to experience precipitation is in the beginning of April. 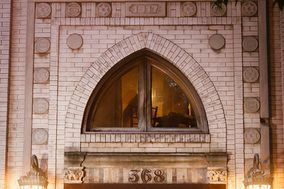 The cold season lasts from the beginning of January to the middle of March with daily high temperatures averaging out below 46 degrees. 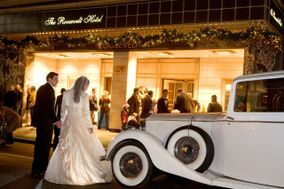 Snow can also be expected between the end of November and the beginning of April. 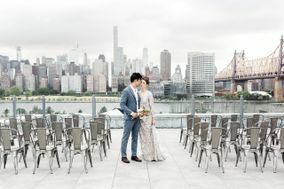 So if you're planning on taking pictures outdoors or having an open air ceremony, remind your wedding party, and guests to dress for the weather. 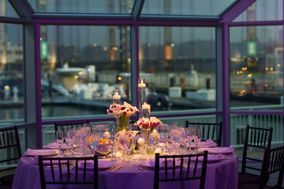 You should also discuss the possibility of inclement weather with your wedding venue. 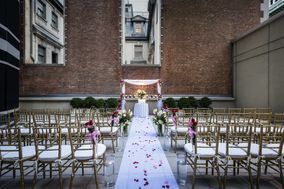 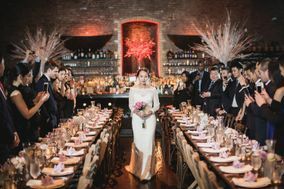 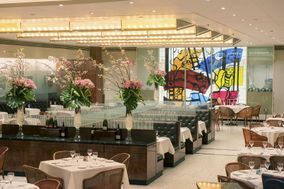 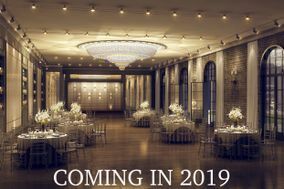 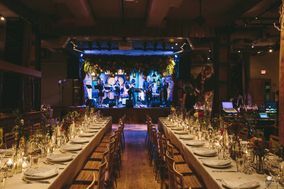 When you're ready to start your NYC wedding venues search, WeddingWire has everything you'll need!